View More In Code Readers & Scan Tools. Car OBDII/OBD2 Code Reader:Language Support:English, French, German, Polish, Russian, Spanish and more. Default language is English,other language please update on offical website. Internet updatable via USB, and free update for 3 years. 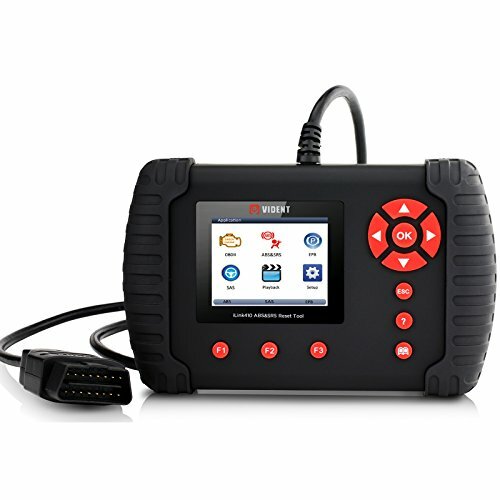 Car OBDII/OBD2 Code Reader:Lets you perform bi-directional tests on electronic park brake system of multiple vehicle brands. The tests let you to deactivate and re-activate brake control system, set new brake pad thickness after AUDI A8 service, bleed the brake systems. Retrieves generic (P0, P2, P3, and U0), manufacturer specific (P1, P3, and U1) codes and pending codes Stream, record, and graph real-time Live Data for a more precise diagnosis.You can view 2 parameter graphs simultaneously and merge them into one coordinate.